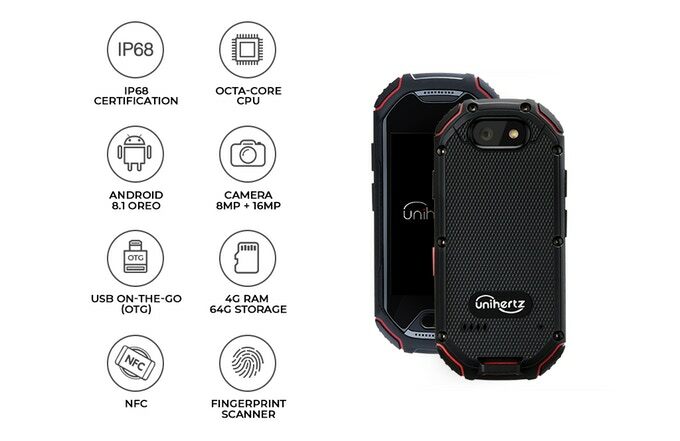 World's smallest 4G highly rugged smartphone rated IP68, Octa-core with Android Oreo, NFC, OTG, 4G LTE Connectivity, fingerprint sensor and a Dual SIM. Currently, the World's smallest 4G highly rugged smartphone. It is dustproof and waterproof rated IP68. It has 4G FDD-LTE connectivity, front-mounted fingerprint scanner and dual SIM capability. It comes with a 2.45-inch capacitive multi-touch Gorilla Glass display with a 240 x 432 pixels resolution. On the inside, it runs with Android Oreo (8.1) on a Octa-core 2 GHz processor, 4 GB of RAM and 64 GB of internal storage. It sports a 16MP autofocus camera (Front 8MP) and a LED flash. 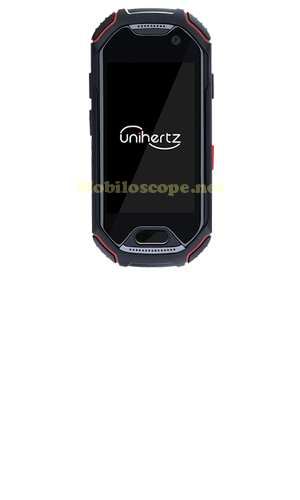 GPS/Glonass receiver, FM receiver, G-sensor, compass, gyroscope, front-mounted fingerprint scanner, and a PTT button. Connectivity WiFi b/g/n, BT4.2, OTG, waterproof USB Type C, 4G FDD-LTE and dual nano Sim. It measures 96.0 x 45.0 x 18.0 mm and weighs 108g and its built-in battery has a capacity of 2,000 mAh.